On this Bank Holiday, Londoners will have access to a range of healthcare services through extended access GP appointments or urgent treatment centres. Those with more urgent medical issues can also call NHS 111 to speak with a fully trained adviser, 24 hours a day, who can connect them to a nurse, emergency dentist or a GP and can arrange face-to-face appointments. Londoners are also reminded to stock up on repeat prescriptions before the weekend but if you do need to visit a pharmacy, a full list of their opening hours is available here. Pharmacists are a great resource and can help with a wide variety of minor health issues. 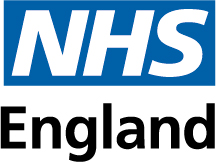 Accident and emergency departments are for seriously ill people with life threatening conditions, so we would encourage local people to utilise alternative health services mentioned above.